Dolma Impact Fund is the fund itself that is the FDI investor into investee companies in Nepal. Peter is the former President and Chairman of YouGov, an international online polling and market research company. He took YouGov public on the London Stock Exchange as Chairman and won "Chairman of the Year" award from the Quoted Companies Alliance in 2006. He appears regularly on radio and television as a political commentator. Peter is also well known for his career in journalism and broadcasting. He was a weekly columnist for, successively, the New Statesmen, Independent, Sunday Times, Observer and Evening Standard. He was also a political reporter, presenter and commentator for BBC TV's Newsnight, Channel 4's Powerhouse and UK election results programmes. 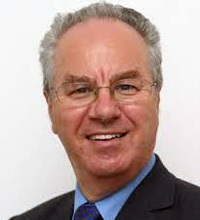 Peter worked as a consultant on politics and opinion research for the Foreign Office, Bank of England, the Corporation of London, SmithKleinBeecham, and the Trades Union Congress. Peter was Chairman of the Royal Commonwealth Society and a Trustee of the Hansard Society and the National Literacy Trust. He is currently Visiting Professor at the University of Hertfordshire and a Trustee of Action on Smoking and Health (ASH). Peter holds a first class honours degree in Economics and Statistics from Cambridge University. Mrs. Yow joined the global business sector in 1997 and worked for one of the leading management company for around 10 years. She was also responsible for a team providing back office accounting services to over 150 entities. Mrs. Yow is a member of the Fellow of Chartered Certified Accountants (FCCA), a member of the Mauritius Institute of Professional Accountants (MIPA) and a member of the Society of Trust and Estate Practitioners (STEP). She is currently an Accounts Manager at Tri-Pro and as such responsible for a team for the day to day accounting of client entities. Mr. Nundoobarick joined the global business sector in 2005 and worked for one of the leading management company for around 9 years. He joined Tri-Pro as the Fund Administrator and he is now the Senior Clients Relations Manager (Fund Administration), responsible for a team administering private equity funds and open ended funds, including Investment Managers and Investment Advisers. Mr. Nundoobarick is a member of the Association of Chartered Certified Accountants (ACCA) and a member of the Mauritius Institute of Professional Accountants (MIPA).